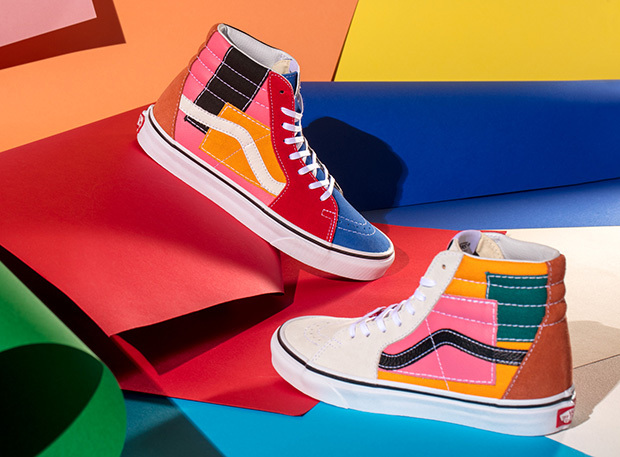 Vans is throwing back to the 70s with the debut of the Patchwork Pack for spring featuring three of its classic footwear models. 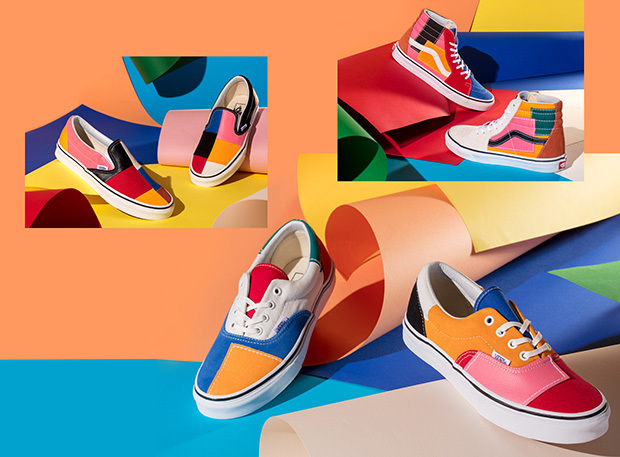 Vans designers remastered the Era ($65), Sk8-Hi ($75) and Classic Slip-On ($65) with a mix of leather, canvas and suede patches with bright colorblocking combinations. 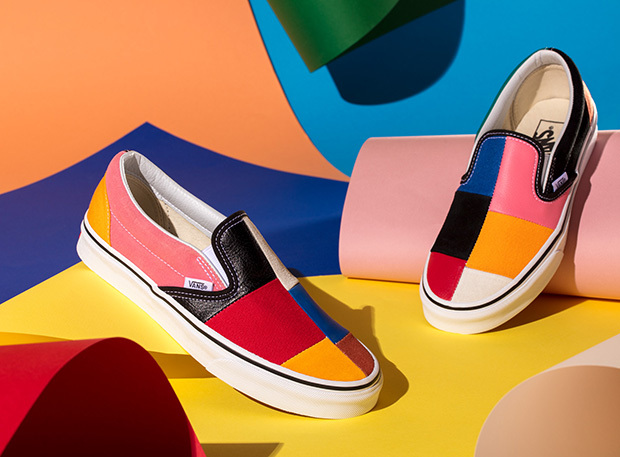 Loving the mix of of materials and colors, perfect for spring. 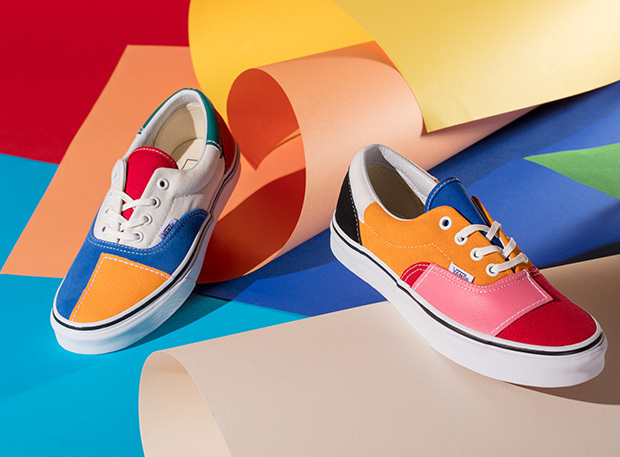 The Vans Patchwork Pack is available now to shop online at Vans.com and in Vans retail locations everywhere.